It’s not going to be forever. Dragon Comics are definitely a finite thing. There’s no termination date or anything like that, but there are other projects in my mind, projects planned out more carefully than this one. That said, there is a lot of Dragon. 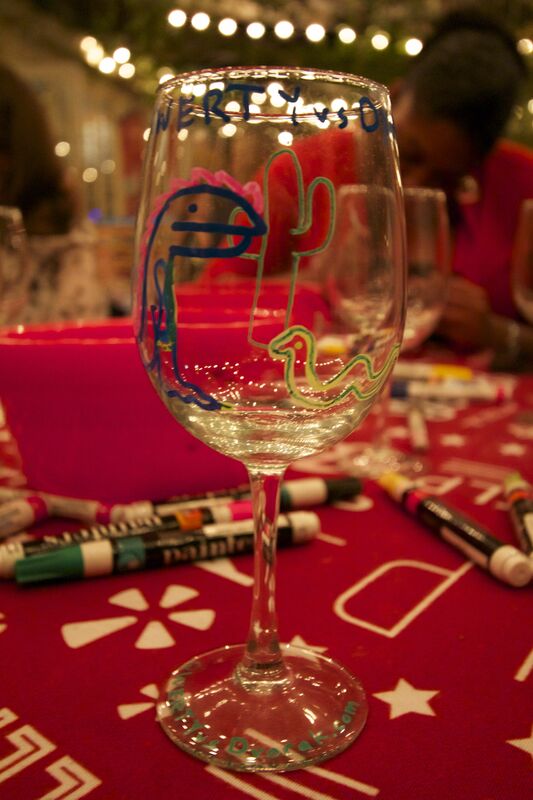 Last week, at a Yelp Elite event, there was a wineglass painting station, and somehow, Dragon turned up there! That snake would drive anyone to drink. Then, because people were leaving and there were still undecorated wineglasses, I added a mandala to the night’s accomplishments. 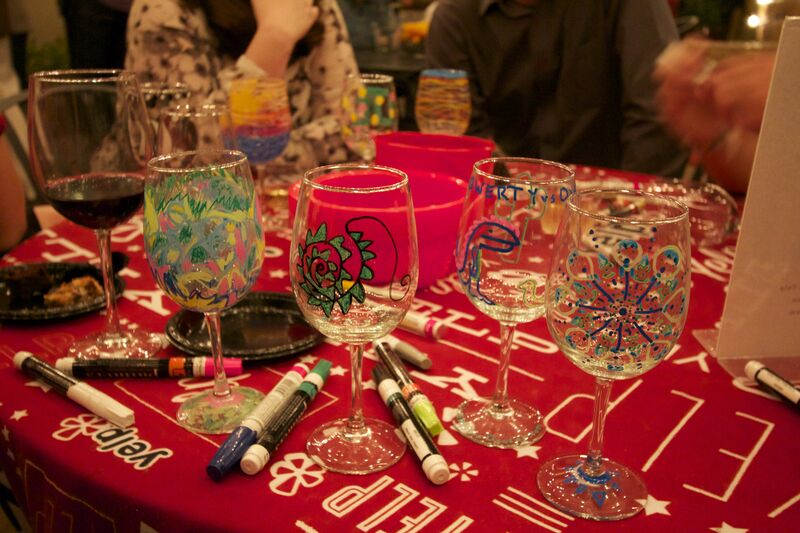 Mandala wineglass is on the right, seen with Dragon and a bunch of other decorated wineglasses. I rarely drink, and when I do, it’s usually from my buddy Jeff’s Woodeye Glasses, so they’re just sitting on the bookshelf right now, but if I ever get that Kickstarter together, these glasses will probably be a reward. There’s nothing like other people’s badly drawn rendition of your badly drawn characters. But that’s not all the Dragon. You see, this little dragon is about to have a birthday. One of the big ones. And her kind friends threw her a rather intimate little party. And Dragon even turned up there. I don’t eat vast quantities of cake, or dessert in general, since I have a very low tolerance for flour and sugar. But this treat came from a local bakery called Cakelab, which specializes in gluten-free desserts. So I ate about 10 times as much sugar this weekend as I would normally eat in a year. And I’m kind of feeling it, if you know what I mean. Ouch. The cake is delicious, though. So, Dragon is pleasing to people, and Dragon is a stepping stone to something else. But right now, Dragon is ubiquitous. I still have one more comic in this little arc, plus a standalone for Friday, with humor that’s terribly nerdy and not at all black. The world is dark sometimes, and so is my sense of humor, but it’s all in good fun. You’re having fun, right? 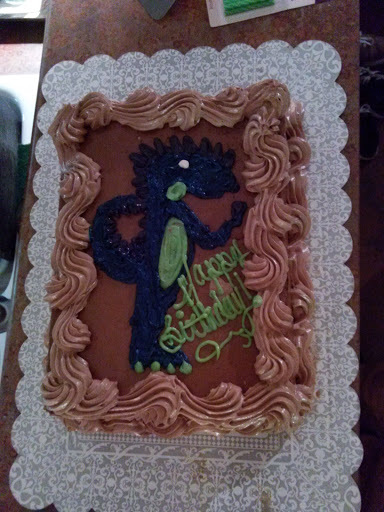 This entry was posted in art, Dragons, mandalas and tagged cake, dragon, mandala, paint, painting, wine glass, yelp on November 18, 2014 by littledragonblue.